Ken is a child of the 80s, Internet addict, Trekker, nerd herder, number-cruncher, aspiring screenwriter and author. He received a master's degree in political management from the George Washington University. Currently, he works as a quality manager and supervisor for a multi-employer benefit trust providing retiree benefits to coal miners. 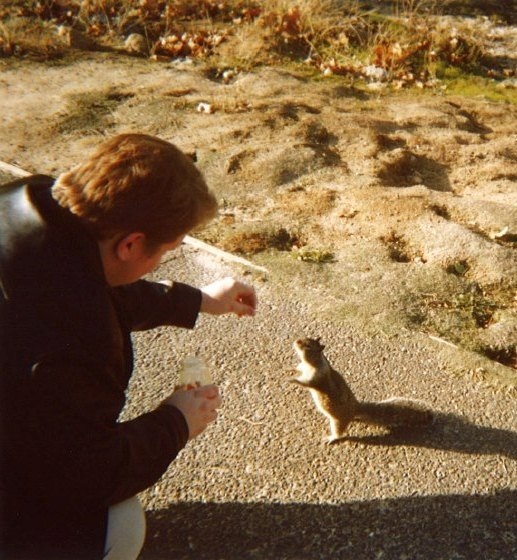 He lives in the Washington, D.C. area. Originally a self-described introvert and “creative nerd,” over the last decade Kenneth Kerns has found the leader within himself as an extroverted trainer and innovator at one of the nation’s oldest Taft-Hartley retirement plans. Now, after landing his dream job and taking it to the next level, Kenneth is sharing all the lessons he learned along the way. Regardless of whether you are the life of the party or want nothing more than to curl up with a book and a crackling fire; regardless of what you do within your organization and the current circumstances of your life, there is no time better than now to take stock of your ambitions and figure out how to tap into your leadership potential. 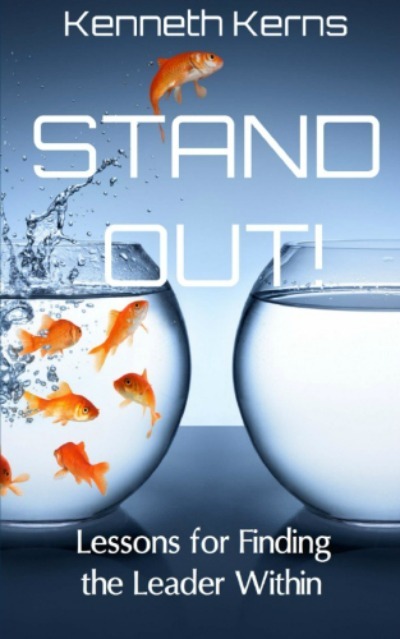 This book shows you how to find the leader within, and how to make sure you stand out in today’s crowded job market. They were students like any others: they rushed a fraternity, went to parties, and sometimes even went to class. Yet, they were unlikely best friends. Mike was the quiet, modest, lovesick writer. David was the popular, easy-going, and confident soccer player.In a collection of short stories, rediscover the love and loss, the victories and defeats, and all the pivotal moments we all shared in college. 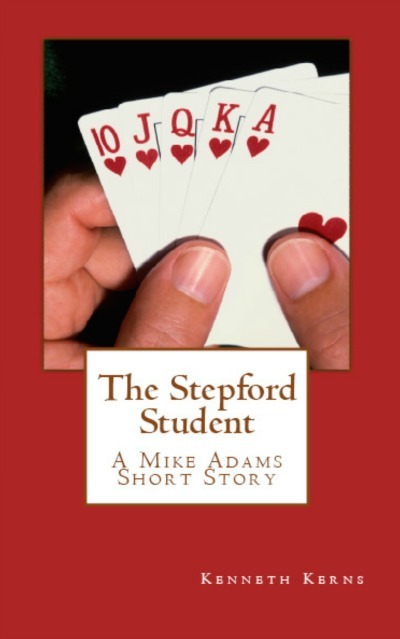 When his best friend, the son on a congressman, mysteriously abandons their weekly poker game, only to return reeking of swamp water and talking of changing his career plans, it's up to Mike Adams to find out what really happened to him. This eBook is available for FREE everywhere except on the Kindle edition. 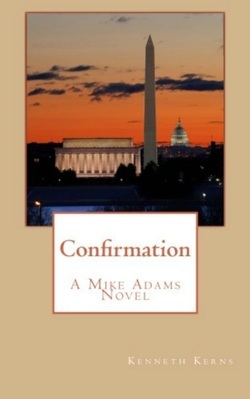 Tornadoes in the college town where Senator Mike Adams grew up disrupts his wedding planning and legislative maneuvering. His newest aide, Jeff Simon, is already on the scene. The clean-up and recovery brings back painful memories for them both. Other events are also in motion: A freelance detective is investigating an unlikely suicide. A felon is appealing his conviction. Lobbyists are meeting secretly to secure the votes to confirm a new Supreme Court Justice. As events unfold, a century's worth of secrets unravel, giving Senator Adams an unexpected opportunity to shift the balance of power. Mike Adams thought Student Governments everywhere were funny. That is, until someone wanted him dead. 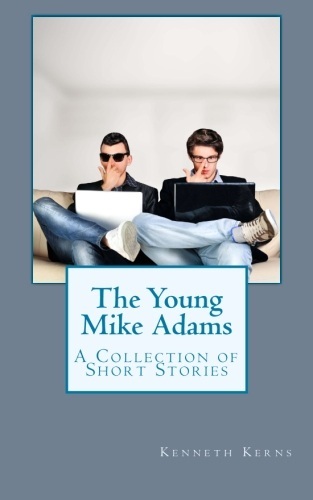 Sixteen years after he graduated from college, Mike wrote a satire of college life that became a best-seller and is now set to become a movie. Not everyone liked what he wrote. 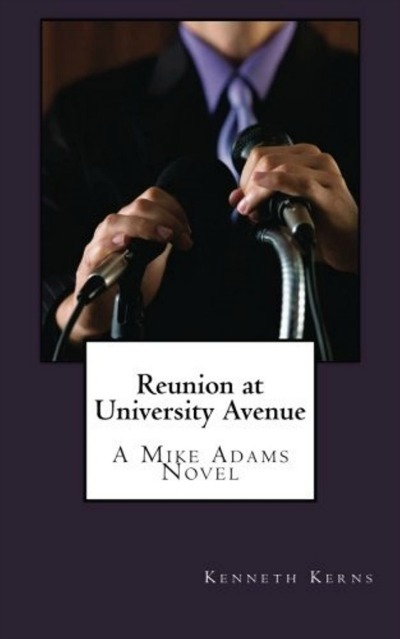 As people get hurt and eerie messages are left behind, Mike finds himself targeted at his high school reunion. Now, he must ask some difficult questions. What did he write that enraged this attacker? Who in his past would do this? And does any of this have to do with the secret society known only as The Circle?